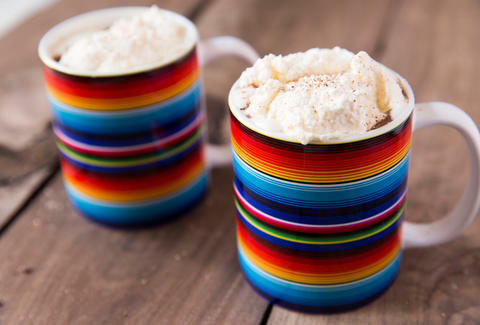 Canned whipped cream may have a time and a place, but it doesn't even come close to the homemade kind. It's less sweet than its processed peers, which makes it an excellent complement to super sugary desserts like rich brownies and pecan pie. 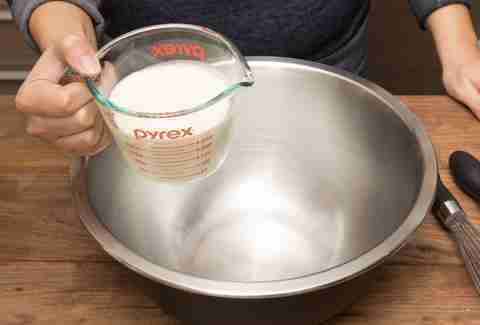 So from now on we all need to whip our own cream -- whether it's with an electric mixer or a wrist with a whisk. 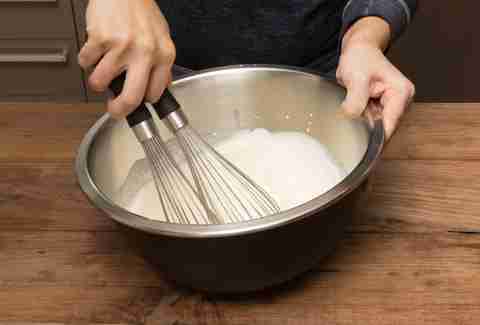 And here's a tip: avoid forearm cramps by using two whisks at the same time. The cream will whip up twice as fast. Got three whisks? Well, you do the math. 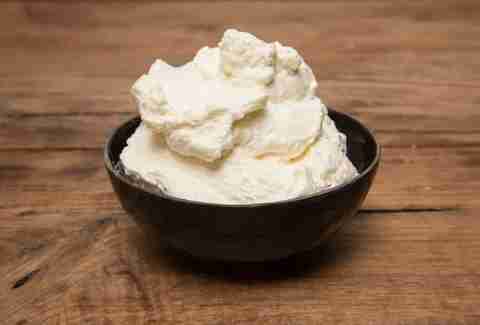 One cup of heavy cream will yield two cups of whipped cream. Make sure the cream is very cold. 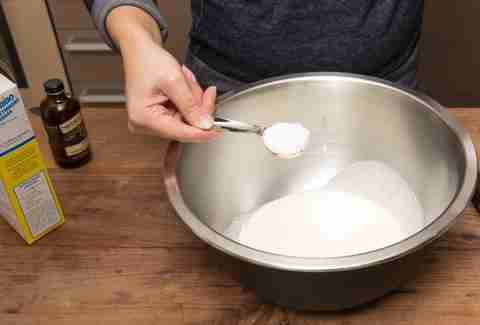 If you have time, chill the whisk and metal bowl in the freezer for about 10 minutes beforehand. Two tablespoons of granulated sugar or three tablespoons powdered sugar will do the trick. 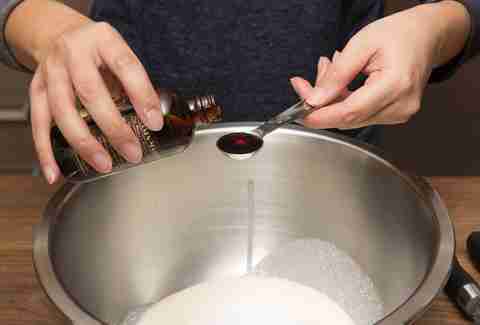 Add one teaspoon of pure vanilla extract if you feel like it. 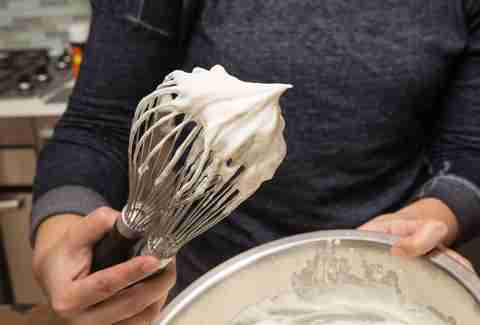 Using a whisk (or two, or three), beat the cream until it thickens. If using electric beaters, set the speed to medium, but be careful not to over beat it! ...or keep going if you like it thicker. Just don't go too far or you'll end up with butter. Dollop it on everything you eat that day, or cover and store it in the fridge for up to one day. 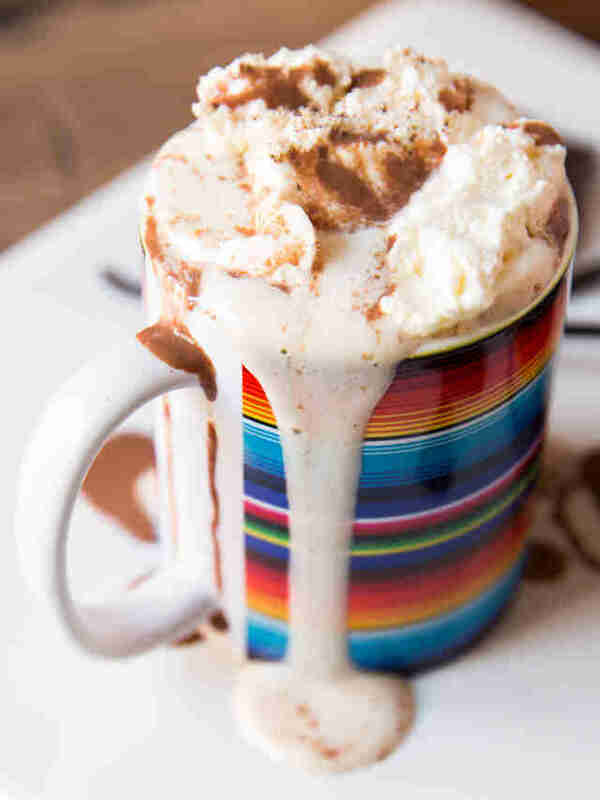 Perry Santanachote is Thrillist's recipes editor and can't even write about whipped cream without drooling. Follow her at @perrysant.